In order to do that you will have to learn to take it easy on yourself. Depending on the size of the change will determine how much grace you need to give to yourself. A significant change will require more time for mistakes and missteps. This doesn't mean that we overlook these missteps. It just means that we need to recognize that change takes time. Highlight the positive moments and move past the negative ones. When I started participating in National Novel Writers Month this was my biggest issue. I couldn't silence my inner critic. This internal editor kept me revising the same paragraphs. It also made me restart writing projects thus loosing any forward momentum I might have gained. The first year I tried NaNoWriMo I don't think I made it to 500 words. It took me several years of attempts before I could silence this voice and make it though. 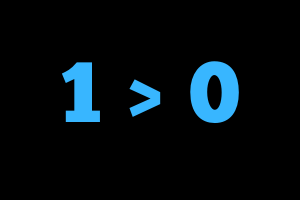 As one of my mentors says 1 is always greater than zero. It is better for you to get your multiple reps in consistently than it is for one perfect rep done sporadically. Plus, as I have said before perfection doesn't exist anyway. If you get started and take steps in the right direction you'll always beat the perfectionist. You'll be so far down the road that the perfectionist will never catch up. The name of the game is execution. Execute consistently and give yourself space to learn and grow. Commit to giving yourself the grace to take the clumsy first steps. In an effort to illustrate what I am talking about, here is one of my early videos.